"I'm very sorry for your loss. May you always cherish the..."
"May the God of all comfort grant you peace during this..."
Brenda Langston Campbell, 67 of Crestview, FL passed away Wednesday, May 23, 2018. 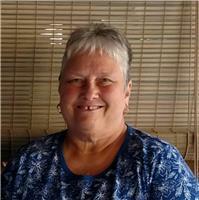 Brenda was born July 8, 1950 in Andalusia, AL, she was a lifelong resident of Okaloosa County. Brenda was a 1968 graduate of Crestview High School, she enjoyed taking care of her family. She is preceded in death by her father Glenn Langston, she is survived by her husband of 48 ½ years Duane D. Campbell, two children, Stuart and Suzan Campbell, Kristy and Greg Stewart, a grandson Christopher Stewart, her mother, Virginia Langston, two sisters, Kathy Swing , Pat and Bob Feller, numerous nieces and nephews. A gathering of family and friends will be held Sunday, May 27, 2018, from 4 to 6 pm at Brackney Funeral Service. In lieu of flowers, the family requests that contributions be made to PAWS.